Epic GBRf charity tour aims to take electrics to Blackpool, Paddington – and Fort William! GB RAILFREIGHT’S second four-day ‘mega-tour’ has been unveiled and will see a Class 56 making its passenger debut over the West Highland Line, a pair of Class 73s over the Forth Bridge, and AC electric locomotives running to London Paddington and Blackpool North. Living up to its name – ‘GBRf 2018 – Out of the Ordinary’ – the train will start from London Victoria on September 20 behind a Class 66; possibly one of the 10 recently acquired from DB Cargo. It will head for South Wales via Bristol, where a pair of Class 73/9s takes over for a run to the Celsa steelworks in Cardiff. Resident GBRf Class 08s will haul the train in the works yard, providing rare traction and track. 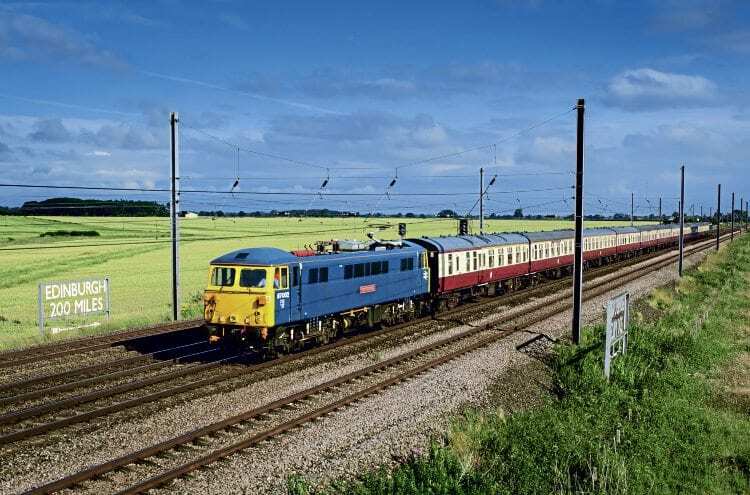 The rebuilt ‘73s’ will then work to Didcot Chester Lane Junction, where an AC electric locomotive – No. 86101, 86401 or 87002 – will take charge for the run to Paddington. run to Waterloo’s former international platforms.